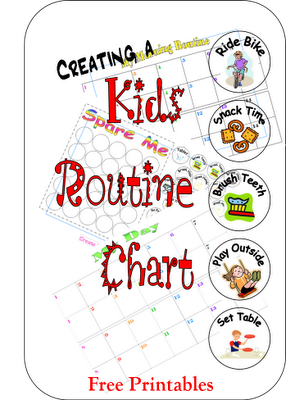 You can download free routine chart printables to use with your children at Cornerstone Confessions. There are 8 free printable pages which include 4 customizable charts, 98 activity cards, and more. The charts can be made to include up to 28 activities. Click here for more free home management printables!